Chapters Indigo has a 5 Days of Books Deals on now! Each day there will be a new book/book type on sale! 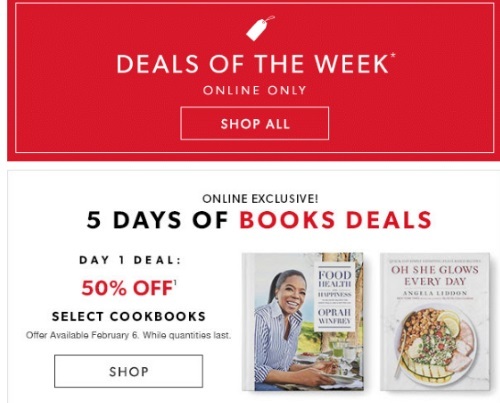 Day 1 deal is 50% off select cookbooks! Offer is available February 6, 2016 only. While quantities last.